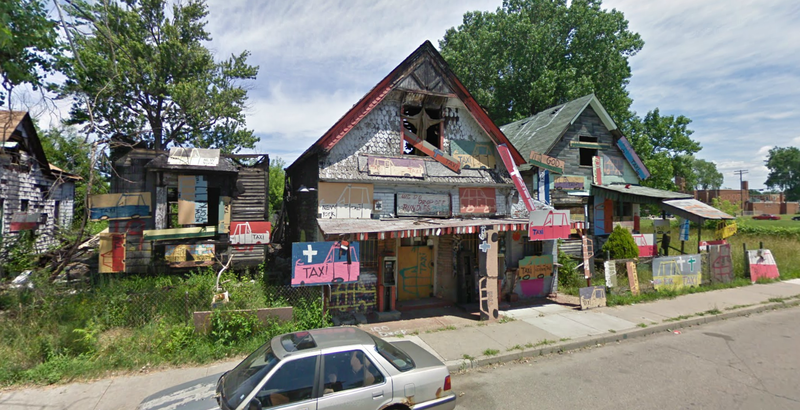 The Heidelberg Project is a unique art environment located in the heart of Detroit’s East Side. 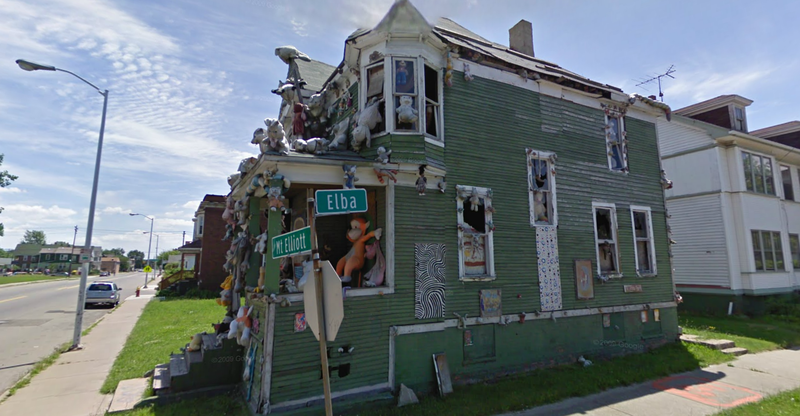 The project’s main focus is to take a stand to save forgotten neighborhoods and to heal communities through art. 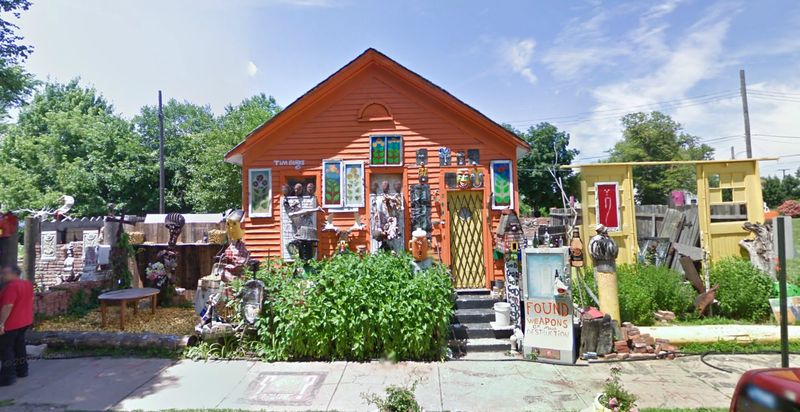 Founder and artistic director Tyree Guyton uses everyday, discarded objects to transform a once closely abandoned area into an area full of color, symbolism, and creativity. 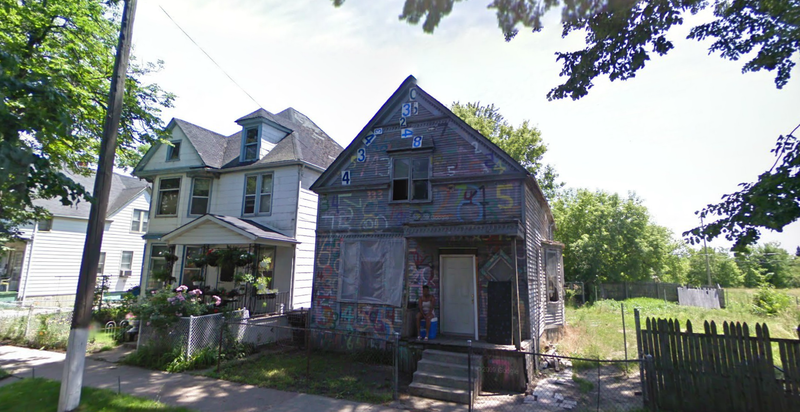 The project has been around for about 26 years and is recognized around the world as a demonstration of the power of creativity to transform lives. 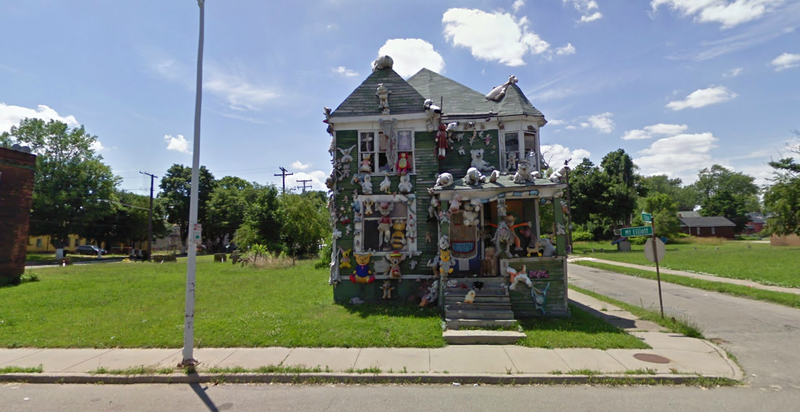 When I stumbled over the project on Google Maps while perusing through Detroit I couldn’t help but smile at the colorful houses and art displays juxtaposed against the normal images of urban decay. 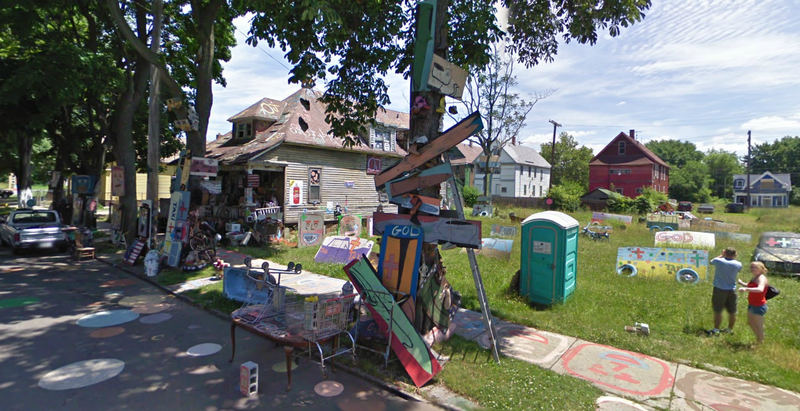 If you would like to peruse the project on your own, check out the Heidelberg Project Google Street view! 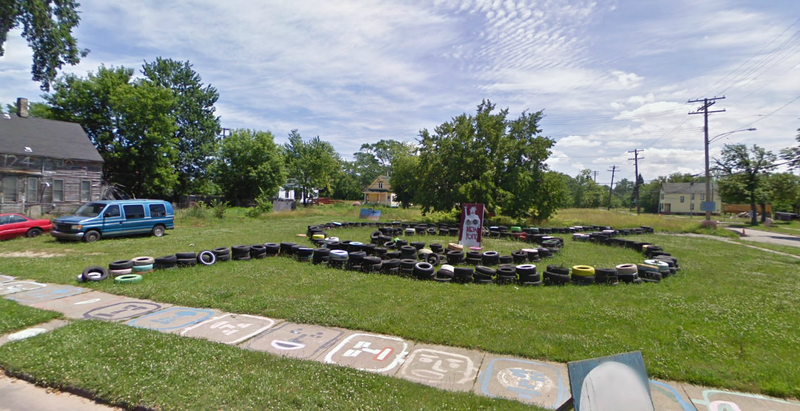 This entry was posted on July 30, 2012 by Amanda. 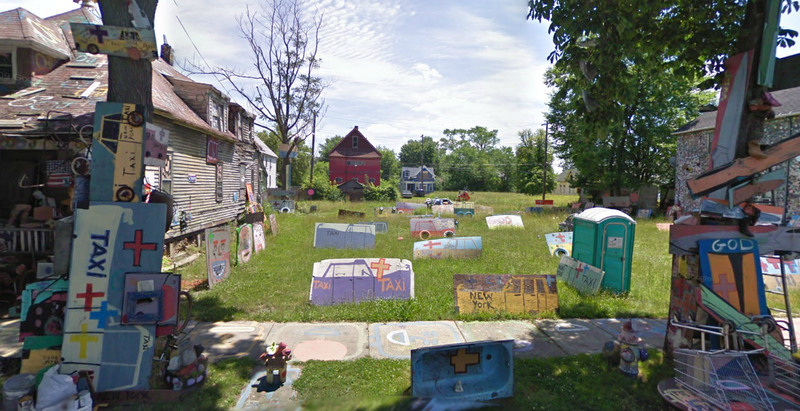 It was filed under Abstract, Color, Found Type, Future, messages, Past, Present, USA .